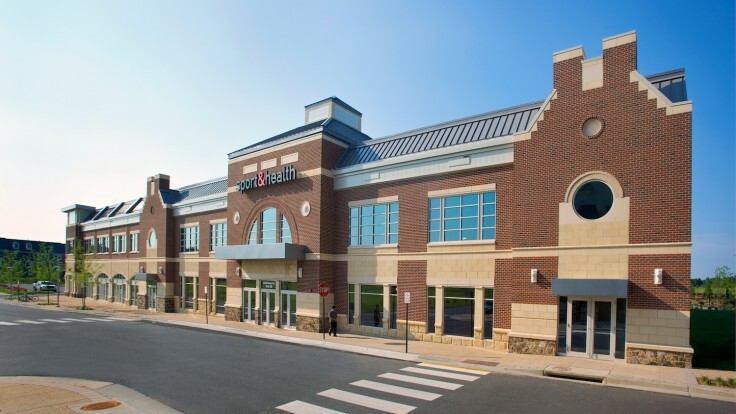 Sport & Health Brambleton | Hubert Construction, LLC. 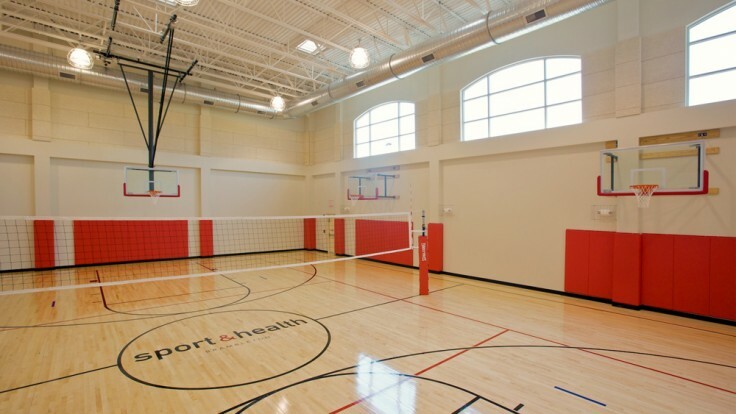 Sport & Health’s first club in Loudoun County was a design build project for Hubert that included the building and the 38,000 SF interior. 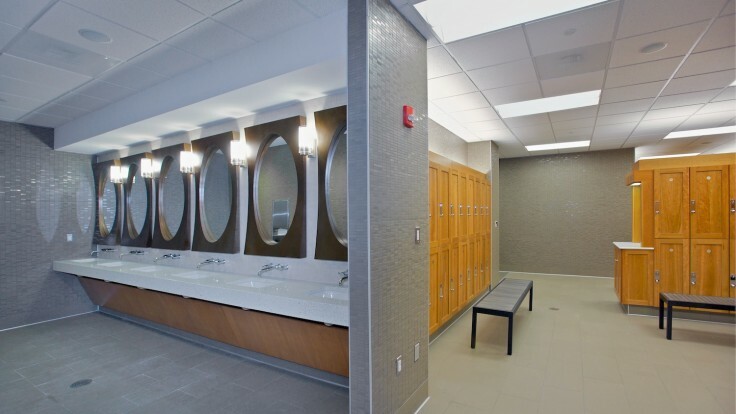 Located in the Brambleton Town Center this stylish, hip family oriented facility was designed to satisfy the varying fitness needs of the community. 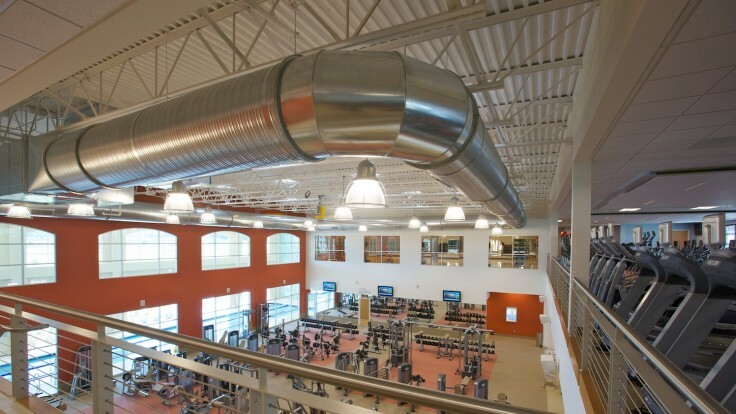 The open two story plan features a large cardio equipment area, a black lit, stero blasting, spin room and an oversized aerobic studio all of which over look the first floor weight room which features a propeller like ceiling fan providing necessary air movement. 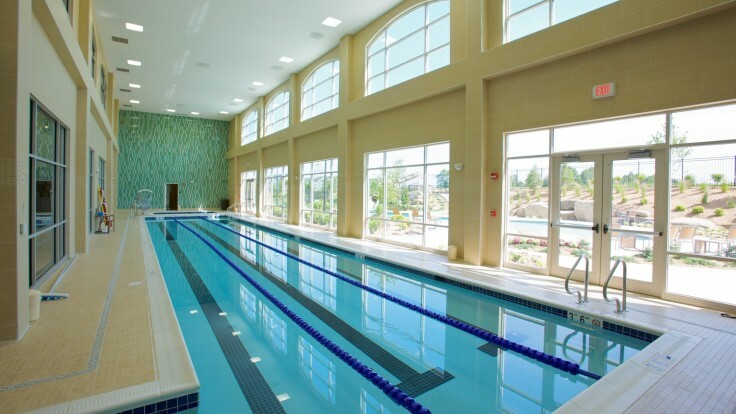 Natural light flows from the tiled wall lap pool with its two level window system which is mimicked on the interior wall separating it from the rest of the facility, allowing exterior views from many areas of the interior. 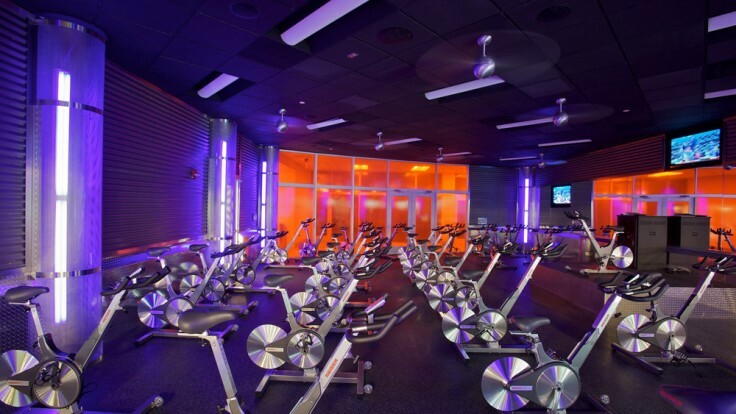 As if that is not enough there is multi-purpose gym for basketball, volleyball and other uses, a yoga studio, a rehab clinic, a massage spa and tanning booths. 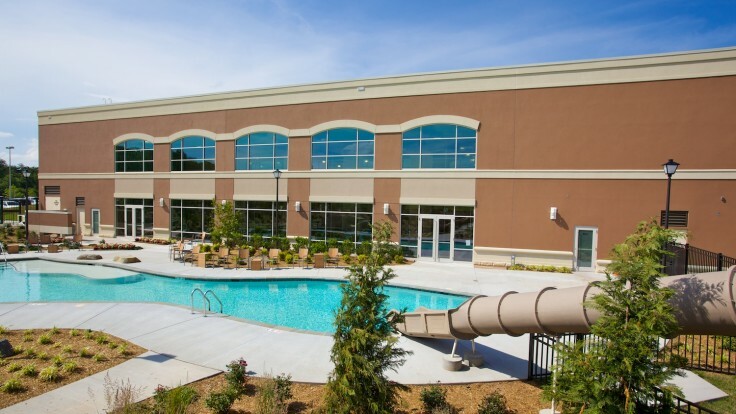 When you are done with your work out you can relax at the juice bar and lounge or head outside to the recreation pool.